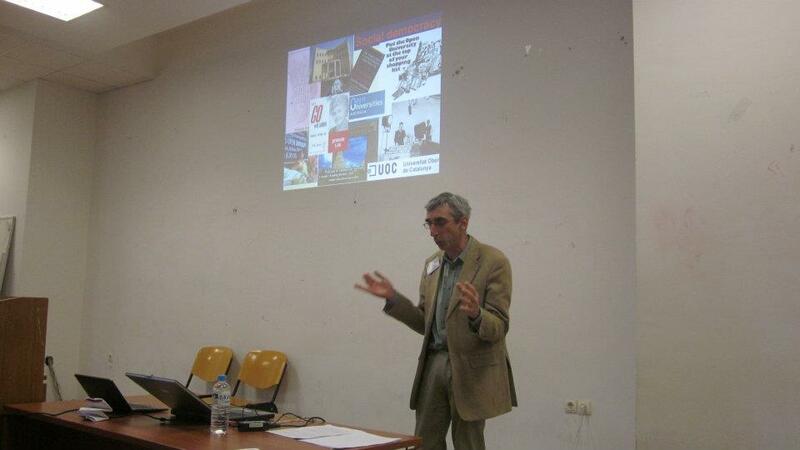 On 8th January 2012 Dan Weinbren gave a presentation on ‘The roots and branches of the OU’s disruptive online environment’ to the World Universities Forum. Abstract: Many accounts of the expediential growth in online educational provision emphasise technological novelty at the expense of recognition of the pedagogy’s deep roots. The UK-based Open University, having developed computers for home use, commenced computer conferencing in 1988. By 2000, 100,000 of its students were online. Having developed degrees for part-time adult learners based at home, and a concept of education as a relationship which could provide learners with opportunities to construct their own understandings and be producers of knowledge as well as consumers of education, the University was well-placed to construct an appropriate, extensive, well-structured and expertly-facilitated online experience. This was determined not by technical convenience or mimicry of the familiar, but building on the University’s own “disruptive innovations” (to employ Christensen’s term). Founded within a framework of social democracy rather than Humboldtian traditions, it focused on enabling learners to study more easily and to gain accreditation. 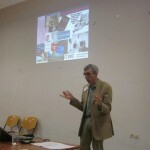 This assessment will position the University’s online presence in terms of its structure (it became the first “mega-university”), its unusual funding, its ability to support entrants without formal academic qualifications as well as postgraduates and informal learners, its distinctive multi-media blended pedagogy, and its relationship to distance universities. This entry was posted on Sunday, January 8th, 2012 at 12:01 am by Daniel Weinbren	and is filed under History of the OU, Online teachng and learning. You can follow any responses to this entry through the RSS 2.0 feed. You can leave a response, or trackback from your own site.